Have you all been keeping up with the latest from LFW? Our favourite so far has been the Topshop Unique show. 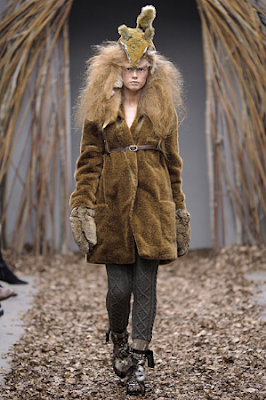 It was like taking a walk in the woods, with leaves strewn across the catwalk. 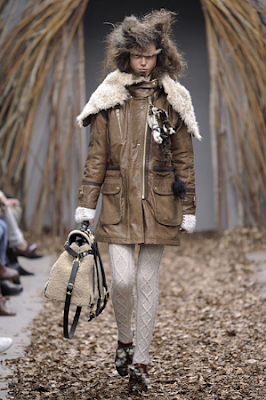 The collection was full of chunky knits and cosy faux fur with a natural colour palette. 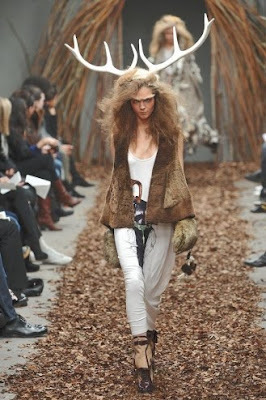 Some of the models even looked like they were morphing into woodland creatures with their animal hats and antlers, it felt like a twisted fairytale through Narnia. It almost makes us excited for next Winter, we say almost! Here are a few of our favourite looks, what do you think?